In the Name of the Father, and of the Son, and of the Holy Spirit. Christ is Risen! Let us take a moment to breath. A moment to reflect. And a moment to give thanks to our Good and Holy God Who loves His creation. Who loved it in the beginning. Who has loved it through time. And Who will love it forever. And we rejoice in that love, for His unending love is what has saved us, as He bore through the time of man marching generation to generation following the fall, searching, scrounging, if you will, for answers to the ultimate questions: “What is the meaning of our life?” “Where did we come from?” “Where are we going?” “How should we live?” “How should we die?” All these questions are answered in the grace and truth of our Lord Jesus Christ, our Deliverer, our Savior, our Messiah. He has given us meaning. He has given us direction. He has guided in a framework of life to, who like Adam in paradise, we are given all the enjoyments of life when we follow His commandments. When we follow His commandments we experience all the joy that life has to give. There is no other joy. The joy that we seek for ourselves in this life: the sensual pleasures, the abundance, the comfort, personal time; while certainly these things can be pleasurable they are not the life that God would have for us. The life that we would create for ourselves, if we are to be honest, is a life of slavery, slavery to personal opinion, to material things, to the vanity of life. But in following the commandments of God here is where life is to be found. And all good things are given when we do. All in the right time, all in the right place, all in the right way. Holiness, faithfulness, joy. But man has set his own path ever since Adam and Eve. But God never gave up. He kept calling His people back, through Israel and the Prophets, and Wisdom and the Law, finally through our Lord Jesus, fulfilling all those things that were spoken of Him. Coming to do the final act that couldn't be done any other way; God having to come in the flesh to defeat man's ultimate enemy: death. Jesus came in the flesh to die so that we might live with Him. Our God is a delivering God. In today's Old Testament readings there was one powerful line that jumped out at me and I suppose it resonated with me from my athletic days (believe it or not I used to be athletic) it said that when Israel, the Hebrews, came out of Egypt, that God “routed” the Egyptians. He routed them. I love that word, routed. I have been on winning teams where there have been routs and I have been on losing teams who have been routed. It's always good when you win and never good when you lose. For the Hebrew people they were winners. God came and delivered them from the slavery of Pharaoh. He routed Pharaoh and his chariots. This image that we have before us is the same image of our Lord Jesus Christ Who as God, voluntarily submitted Himself to death, so that He might encounter death and the Devil and defeat them. And I might add, on the devil's home court. Our Lord routed the devil and death, and we are recipients of His gift, of His grace, of His power, of His love, of His unending desire for us to be with Him today and always. For us it's a matter of believing, really believing, not just in word, not just in thought, not just with lip service, wearing the name of Christian. No, we are called to BE Christian and to fight along with our Lord Jesus in this same battle, the battle over sin and death. Sadly, and I hate to even mention it, but we must talk a little bit about the realities again. We are drawn to the things of this world. We like shortcuts. We like having things. We like things our own way. And when we pursue things in this way we never measure up to the possibilities of what our God can do for us. Somehow in our lives we have to come to terms with this very fact. We have to come to terms with how we, as Orthodox Christians, have a good beginning, all of us called to self-examination, reflection on the movements of the heart and soul, and mind and body, and with sincerity coming before our Lord to confess our sins. But we don't do that because we are afraid we are going to be punished. We do so to be set free, so that we might not repeat the same mistakes over and over and over. We do so to be set free, and to begin to pursue the life that our Lord would have for us, in the way that He would have us have it. Not in our own way. This requires our patience, our willingness to admit when we're wrong, having the ability to say, “I'm sorry,” and having hope that when God answers our prayers they will always be a better answer than anything we could every dream up for ourselves. This is “Christ is risen!” This is His life. And we pray God help us to enter more fully into it. More deeply in faith, more present in hope, more conscientious of serving, more ready to love. With God's help and His grace and truth, by the power of His light that shines in us, starting on this day and always, may God guide us in the right way to His glory and to our deliverance. “There is nothing new under the sun” says Ecclesiastes 1:9. This often-used quote I suspect is often used by many who do not know its source, and in using it unoriginally they prove its very truth and originality. There is nothing new to the unbelief that exists in the world today. Many today still wonder, “Who is this (Jesus)?” As we ourselves enter the season of Lent, as we encounter our Holy Church's Lenten tone challenging us to place ourselves in a state of repentance and anticipation, as we draw near to the Church's coming victory over sin and death, as we accept the Lenten disciplines of fasting, prayer and training ourselves in the practice of virtue, we embrace the very possibility of answering this question, “Who is this (Jesus)”? In just a few days we will celebrate again this day of awe and question, and I am still and always will be excited for the energy and movement of this day of triumph. The triumph, however, is not the triumph of king, country or of men, but rather of Life over sin and death. In our lives, neither is it the victory of simply making it through another Lenten season, looking forward to a little grilled salmon and a glass of wine, or to seeing the light of this year's Holy Pascha at the end of the tunnel. These and other worldly thoughts only diminish the greatness of Palm Sunday and the movement of the King of Creation, humbly and courageously, en route to His greatest act of love: a funeral procession before the offering of His own death, the joy before the Joy. “Look, the world has gone after him; there is nothing that can be done” (John 12:19). If this only were true! Fickle world! Just five days later those who had cried, “Hosanna” would be crying out, “Crucify him!” and demanding that the life of the murderer Barabbas be spared. There was plenty to be done and the Pharisees knew exactly how to build a case of lies against the God-man of Truth, a case that would arouse Roman ire and the insane wrath of their own people. Ultimately we learn the real reason why the people went out to meet Jesus with “palms and branches,” because of the sign given when he raised Lazarus from the dead. Ultimately we learn that the Pharisees had nothing to worry about. Their power was not threatened. Their positions were secure. And the prophesy of the high priest Caiaphas would soon be fulfilled, “it is expedient  that one man should die for the people” (John 11:45-53). “Who is this (Jesus)?” The question will be asked again as we celebrate his triumphant entry into the Holy City. The answer is beautifully given to those who are ready to listen to the immediate stikera following the above from Matins: “This is our God, and there is none other like Him; He has found out every righteous way and given it to Israel His beloved; and afterward He has shown Himself upon earth and lived among men. Blessed is He that comes in the Name of the Lord our Savior.”Indeed He has “found out every righteous way and given it to Israel His beloved.” On this day this righteous way is unknowingly welcomed under the hooves of a simple donkey escorting the noble King and Savior of the world to His Cross and death. On this day we are shown that the glory of this world is fleeting. On this day God's Israel, and now His Church, witness not the beginning of the end but of the beginning of the true Kingdom which is to come, and our participation in it. Beloved, let us be prepared! Blessed is He Who comes in the Name of the Lord! Holiness has always been and probably will always be a great mystery to man in his fallen state, no more so than in our present post-modern, rational, scientific, academic, corporate, financial, technological, sensual, media-hyped, politically correct, amoral, humanitarian world. I believe that more than a tacit interest in real holiness does exist in some places, especially where there is Orthodox Faith and a pious expression of it; but on a broader social level, even some places within the Church, it is my view, sadly, that interest may be waning. While Jesus told us that the life he is calling us to is “easy” and “light,” and while in my heart of hearts I believe this to be true, in my flesh (and maybe most of us would agree) it is often hard and harsh, arduous and filled with more adversity than one might expect. Whether in families or in friendships, at work or at school, in neighborhoods or organizational affiliations, and sadly even within the confines of our churches the pursuit of holiness can be seen as irrational, too strict, even foolish, which often leaves the sincere seeker feeling isolated and even attacked. And this is just the external struggle! Internal warfare is another matter and one that requires even greater courage as the pursuit of holiness is often challenged in the silence of our very thoughts. Doubt is a significant factor and cannot be blamed on the criticisms and cynicisms of the world. Our doubts, and the vulnerabilities that stem from it, find their source not in the lack of faith of others but in our own lack of faith and the choices we make not to guard the precious seeds God has planted in us at our baptism, our chrismation, and at every partaking of our Lord’s Body and Blood in the Holy Eucharist. It is doubt that prevents us from seeing holiness as “attractive and full of delight” and it is doubt that leads us to choose the “broad and spacious” way. Indeed we often find ourselves at one crossroad after another, time after time needing to make choices, again and again revealing our preferences. The Apostle John wrote in his first letter these arresting words, “He who says ‘I know Him’ but disobeys His commandments is a liar, and the truth is not in him” (2:4). But let us read on lest we become discouraged, “but whoever keeps His word, in him truly love for God is perfected. By this we may be sure that we are in Him: he who says He abides in him ought to walk in the same way in which He walked” (2:5-6). While it may never be easy to understand the pleasure of holiness and the “narrow way” it will always be there for us to “prefer” without complete understanding. No matter what resistance we may encounter, whether from without or from within, no matter what season of the year, with assurance we understand this to be our life in Christ. I pray never to be known as a liar because of my disobedience. May God grant us all hope in the “possible impossibility” of being perfected in love for Him. Beloved, blessed Lent! 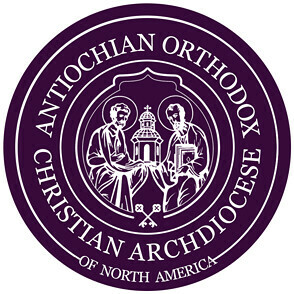 It would be my guess that not many of us (myself included) have taken thoughts about the vocation of a Christian as far as described here by Metropolitan Anthony (a scripture verse comes to mind, “Greater love has no man than this, that a man lay down his life for his friends” [John 15:13]). For many, if not most, the Christian vocation is summed up in the question, “What is God's will for my life?” Unfortunately, however, this question, in my experience, rarely has any emphasis of service attached to it. Rather, it is a question seeking a fulfillment of those things which only concern the self. What job should I pursue? Who should I marry? Where should I live? Couple this with the anxiousness often associated with not knowing the answers to these questions and we see how far short we fall in understanding the true, sacrificial nature of our life in Christ. Finding the will of God in our life is not something that we “figure out,” rather it is something we serve. St. Paul tells us that God desires, “all men to be saved and to come to the knowledge of the truth” (1 Tim. 2:4). In 1 Thess. 4:3 he tells us, “For this is the will of God, your sanctification” Verses such as these help us begin to understand how our vocation has everything to do with substance and little to do with style. And while there are many and various honorable ways to live this life, “We are Christ's own people…” tells us that it is the essence of a man, not his job, nor where he lives, nor to whom he is married , nor the success of his children that makes a man who he is. It is the sterilization of our spiritual lives that wars against our calling “to struggle within us against everything which is sin”, a sterilization which is a casualty of everything that is false about what we in this country know to be called, “the American Dream.” The freedom which we are afforded in this country is a blessing and I would not trade it for any other nation or political system in the world today. But there are many lies attached to this illusory freedom, and it is a great shame when Christians are deceived by these lies; and even worse when Christians close their hearts and minds to the Truth and are drawn into the sensual slavery and material baggage attached to the American Dream. As Christians we truly have only one vocation: to be engaged in this life through the freedoms which we are afforded, not for the sake of material gain and comfortable living, but rather through faith and obedience, love and discipline, to be everything Christ has been. However, somewhere between sensual and material overload and a WWJD (What Would Jesus Do) mentality many Christians today are content to simply be “a good person” and take care of one's own business. Would it be too strong to say that as a people this sterilization may be more of an emasculation, preventing God's people from entering more deeply into our manly calling as members of “the royal priesthood, a holy nation, God's own people, that [we] may declare the wonderful deeds of him who called [us] out of darkness into his marvelous light” (1 Peter 2:9)? I think not! Why else would even Christians find it so easy to participate in those things our society proclaims as “normal” but really are things “not worthy of God” and “to which God cannot unite himself”? In approaching the Christmas Feast and celebrating the beginning of the New Year (2009) we recall that the historic Christian center of this time of year is Epiphany (Theophany). The Church in her wisdom has placed these feasts together so we might experience the fullness of celebrating the coming of our Lord. The Nativity of our Lord is a feast of joy, but at Epiphany the joy is greater still. In the stable cave we see God becoming man and sanctifying humanity, and we see His humility and His love for us. But at Epiphany we see the greater work of sanctifying all of creation in the baptismal water. We know from our reading of the Gospel of St. John that Christ came to save not only man but all of creation. The Nativity has the angel proclaiming glad tidings, but at Epiphany the forerunner prepares the way. At His birth Christ brought us the message of peace on earth and good will toward man, a true sign of His condescending love. But at Epiphany we see the forerunner preparing the way for all humanity to walk in peace and good will. For God not only wants us to know about life in Him but to live our life in Him. The Nativity has blood spilt, as Bethlehem wails in her childlessness, but at Epiphany this water gives way to many sons. As Christ is born, this world begins its rejection of the Savior to end at His crucifixion and death. But at the Baptism of Christ we see that His presence can not be stamped out. He is forever making things new through death and resurrection and the new children of God entering the Kingdom through Baptismal water. At the Nativity, the star proclaims Christ to the Wise men, but at Epiphany the Father reveals Christ to the whole universe. Mary and Joseph quietly come into Bethlehem and Christ is born of her amidst a few, but now at Epiphany the Father’s voice declares to all men, angels, and all creation that Christ is the Beloved and only begotten Son of the Father. As we can see, the two feasts together help us to experience the fullness of the coming of our Lord. They emphasize his humility in lowering himself to save us, His beloved. The two feasts declare to us, beyond doubt, God’s great love for mankind and all creation. He did not wait for us to make things better or right, but He came to us in our distress to save us and to save this world. May the depth and joy of these celebrations lift our spirits so we may rejoice with the angels and all the saints at the coming of Christ our Lord.